As usual, I’m behind on my internship rotation recap posts. I’m halfway through my long-term care rotation and I still haven’t filled you guys in on my four week food service rotation! For the month of January, I interned with the food service director of two local school districts. She has been the director of one district for several years and just last year she took over the neighboring district as well. Between the two districts, there were 10 schools: 2 high schools, 2 middle schools and six elementary schools. I know food service rotations get a bad rep in the internship world for being stupid and boring, but I really enjoyed mine. I did have an awesome preceptor so I’m sure that helped a lot… but still, it was a lot more interesting than I expected it to be! 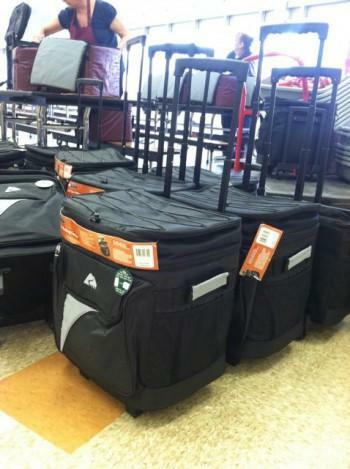 Researched new rolling coolers for the breakfast in the classroom program. Researched new rules and regulations for having salad bars in the cafeteria. Researched the rules for the Healthier US Schools program to determine which chips could be sold as a la carte items. Researched and priced electronic menu boards. Attended meetings with the superintendent and other employees of the district office to discuss reductions in force after a failed levy. Attended meetings about redesigning/reorganizing the layout of the kitchens and cafeterias. Attended a meeting with a food vendor trying to earn the district’s business back. Attended a training session to learn about the commodity foods program for schools. Observed interviews for a head cook position. Created test for head cook candidates to take during interview. Learned about payroll, benefits and scheduling. Learned about writing grants and applied for several. Learned about unions and how they impact the hiring/firing/disciplinary actions. Created a menu for a student that was gluten-free AND dairy free. 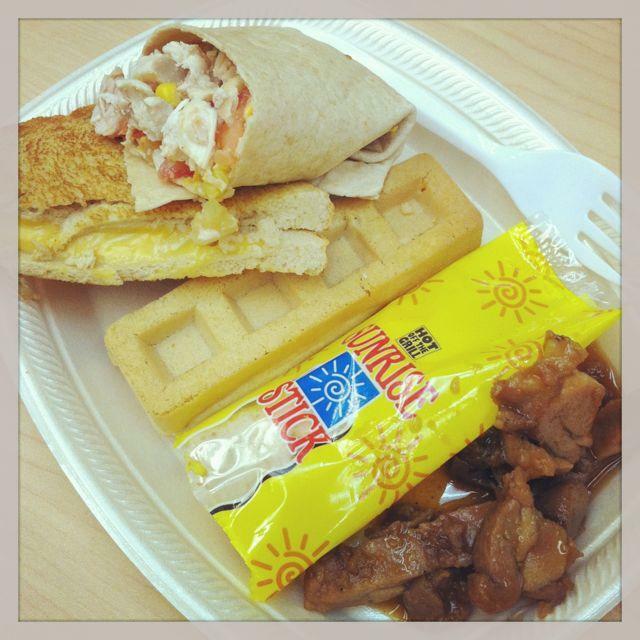 Tasted tested product samples from vendors that could potentially be served at lunch next year. Prepared and cooked food for students on the Food Committee to taste test and evaluate. Met with two high school food committees to gather feedback about the food being served, student satisfaction, things they wished were being served, etc. Met with students about launching a Fuel Up to Play 60 campaign at their school. Created a satisfaction survey for new menu items and distributed to students. Observed lunch service to determine how to make it more efficient. 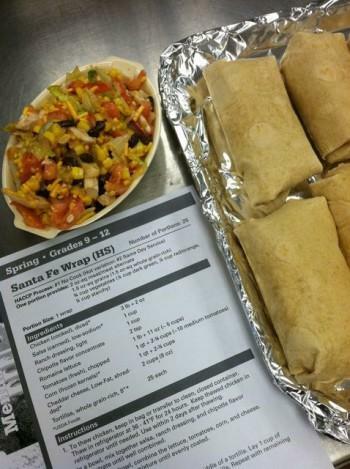 Created the 2013-2014 lunch menu for the elementary schools. Input the menus into Nutrikids to determine if they met the nutritional requirements. As you can see, I was exposed to many different aspects of schools food service. I have to say the highlight was getting to plan the elementary menu for next year. 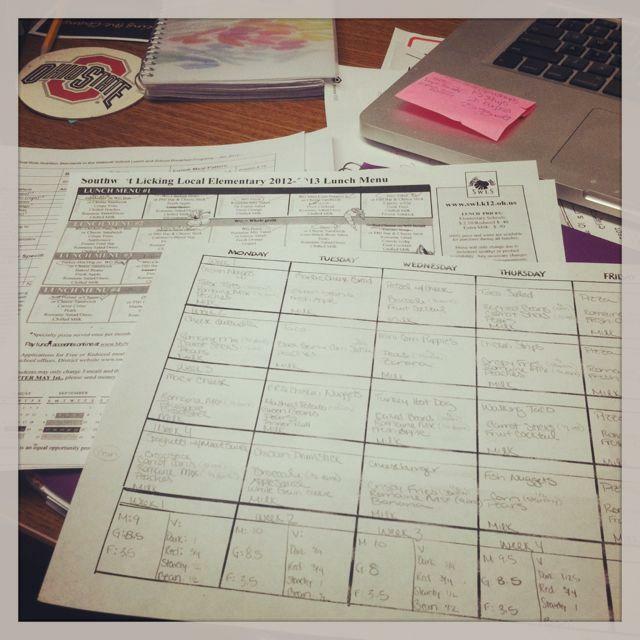 You guys know how much I LOVE menu planning, and it was so cool to know that the menu I created would only require a few small changes and then it will actually be used during the next school year! After having a couple of 7-8 week rotations, these four week rotations are FLYING BY! Like I said, I’m doing my long term care rotation right now so I’ll fill you guys in on that one in a couple of weeks. If you’re new to the blog and are interested in reading more about my path to becoming an RD and the rotations i’ve already completed, CLICK HERE for links to all of those posts! PS. If you have an extra minute, please go congratulate Elle and Anne! They both just passed the RD exam this week and are officially Registered Dietitians. These two ladies are AMAZING and they inspire me every single day. Since I know first hand exactly how much work goes into becoming an RD, I can tell you that they both deserve major congratulations. So go show them some love! They’re gonna do great things! Thanks so much for posting about your internship, sounds like a great experience. I’m thinking of doing a complete career change to become a RD, and I am really interested in the journey, especially the internship. Sounds like I will have a similar path as you, I have to go back and take all those science classes I avoided the first time around! yuck! that’s the worst part! but worth it! you had me at planning the elementary school. honestly Id never thought too much about whose job that was! That does sound really interesting! Especially as an elementary teacher I’m always curious to know the behind the scene stuff of the cafeteria! I know nothing about dietetics and rotations but I do love to hear that schools actually ARE realistically looking into things such as salad bars in school! School food has come. Long way since I was there and hat only been a few years! definitely! 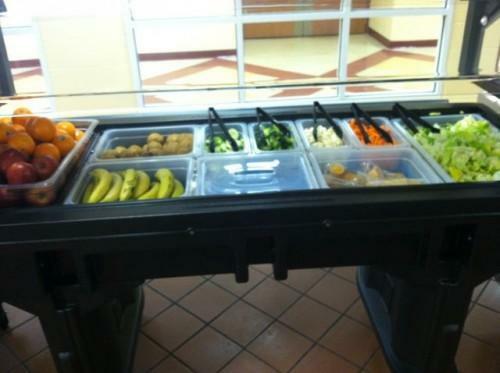 it’s a huge campaign and lots of grant money is available right now to get more salad bars in schools! Ok, I want this job!! Seriously, where do I sign up?! I loved my foodservice rotation. I think I was one of the only ones who did……everyone thought I was crazy! Wow, I had no idea so much went into being a dietician at a school. It sounds like you’ve been really busy, but it must be satisfying to be helping kids get healthy food. Good luck with the rest of your internship! pretty crazy isn’t it?! thank you so much! yep! they’re definitely making some good changes! That school rotation sounded really interesting. Who knew there was so much that went into school lunches. I’m sure all the kiddies will eat well next year, thanks to your great menu! That would be wonderful to get to work so close to help provide kids with nutritious food to eat. It wore me out just reading all of that! Um, how cute are you!? Thanks so much for the love – it certainly is a major accomplishment. I can’t wait for you to join us as RDs! That is so interesting! I think the foods schools offer is really important, for a lot of families thats the only real meal there children get. It looks like you got to do so many things! Congrats on getting the menu you created approved. =) You’re a pro at menu planning. And, thanks for posting about this! I’m currently studying to become a RD and it helps to know what kind of things you have to do to before you become one. awesome! i’m glad it helps! Wow – sounds like a FT job will be a break for you! What great experience. I love the fact that you got to creat a gluten and dairy free menu for kids. Avoiding food allergies is so important! yeah it’s a growing concern for the schools, definitely! i think this looks totally fascinating! it was! i had a really great time and learned a lot! That sounds like such a fun food-service rotation! I know I had a blast when I did mine at the Cleveland VA. We did a lot of party planning for the long-term living patients – they were so sweet! awww that sounds so fun!